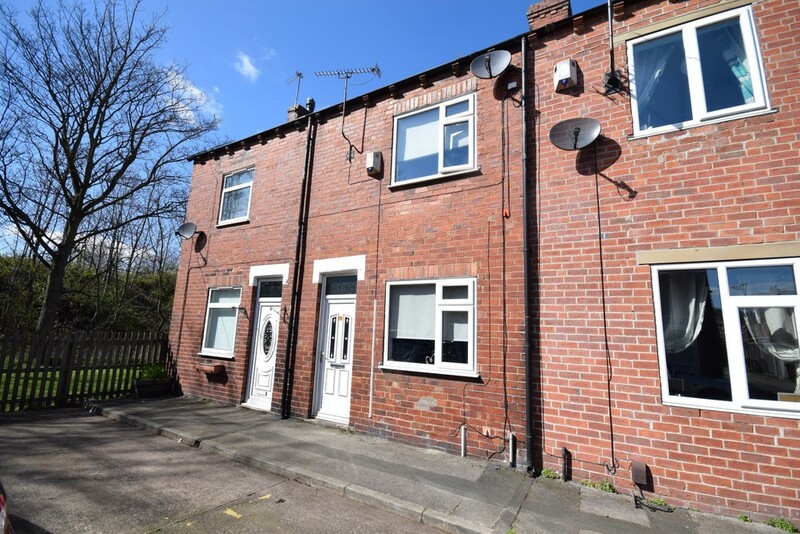 A TWO BEDROOM mid terraced house in a good location close to Castleford town centre and other local amenities including MOTORWAY AND RAIL LINKS for those wishing to commute. The property would be ideally suited to FIRST TIME BUYERS, professional couple or landlords/investors. 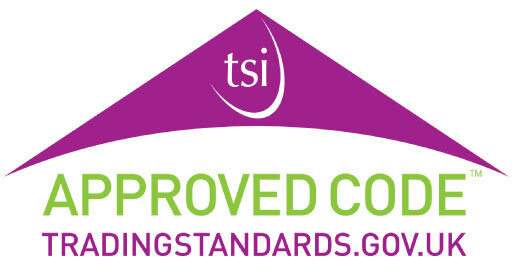 EPC Rating E53. A two bedroom mid terraced house in a good location close to Castleford town centre and other local amenities including shops, schools and within easy reach of motorway and rail links for those wishing to commute. The accommodation briefly comprises living room, separate dining room, kitchen and house bathroom/w.c. The first floor landing leads to two generous sized bedrooms. Outside, there is on street parking to the front and a low maintenance enclosed garden to the rear. The property would be ideally suited to first time buyers, professional couple or landlords/investors alike and an internal viewing comes highly recommended. LIVING ROOM 13' 0" x 12' 2" (3.96m x 3.71m) UPVC double glazed front entrance door leading into the living room. UPVC double glazed window to the front, ceiling coving, central heating radiator, T.V. and telephone point, feature fireplace with timber surround housing an electric fire. Open archway leading through to the separate dining room. DINING ROOM 9' 10" x 9' 2" (3m x 2.79m) max Wall mounted electric heater, UPVC double glazed window to the rear, handy understairs storage cupboard, staircase to the first floor landing and door to the kitchen. KITCHEN 8' 2" x 7' 1" (2.49m x 2.16m) max High and low level kitchen units with laminate work surfaces and an inset single bowl stainless steel sink and drainer with mixer tap. Plumbing for a washing machine, space for electric cooker, space for fridge, UPVC double glazed window to the side and UPVC double glazed rear entrance door. Part tiling to the walls and splash backs, ceiling coving and access to the house bathroom/w.c. HOUSE BATHROOM/W.C. 7' 2" x 6' 3" (2.18m x 1.91m) Three piece suite comprising bath with mains feed shower over, low level flush w.c. and wash hand basin. Tiling to the walls and floor, central heating radiator, ceiling coving and UPVC double glazed window to the side. 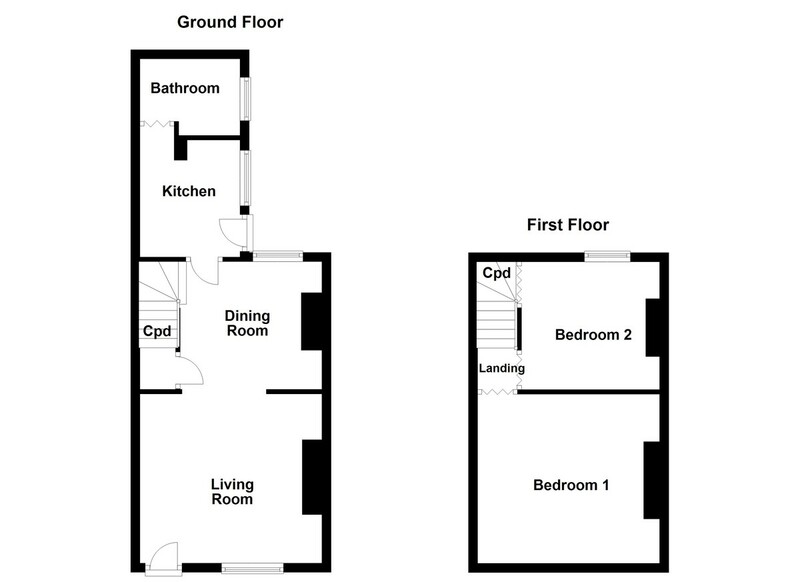 FIRST FLOOR LANDING Access to two bedrooms and the loft space for additional storage. BEDROOM ONE 13' 0" x 12' 2" (3.96m x 3.71m) max UPVC double glazed window to the front, ceiling coving and central heating radiator. T.V. point. BEDROOM TWO 9' 10" x 9' 2" (3m x 2.79m) max UPVC double glazed window to the rear, laminate flooring and central heating radiator. Handy overstairs storage cupboard. OUTSIDE On street parking to the front, whilst to the rear, there is an enclosed garden with fenced boundaries, gated access, primarily paved for easy maintenance with block built storage.